The co-pilot suspected of deliberately crashing the Germanwings jet in the French Alps had researched suicide methods and the security of cockpit doors in the week before the crash. German prosecutors said internet searches were found on the tablet computer used by Andreas Lubitz. Meanwhile, the second "black box" flight recorder from the plane has been recovered. 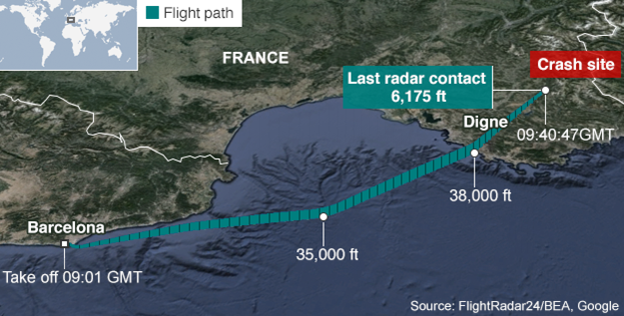 There were no survivors among the 150 people on board the A320 on 24 March. The German prosecutors said internet searches made on the tablet found in Lubitz's Duesseldorf flat included "ways to commit suicide" and "cockpit doors and their security provisions". Spokesman Ralf Herrenbrueck said: "He concerned himself on one hand with medical treatment methods, on the other hand with types and ways of going about a suicide. 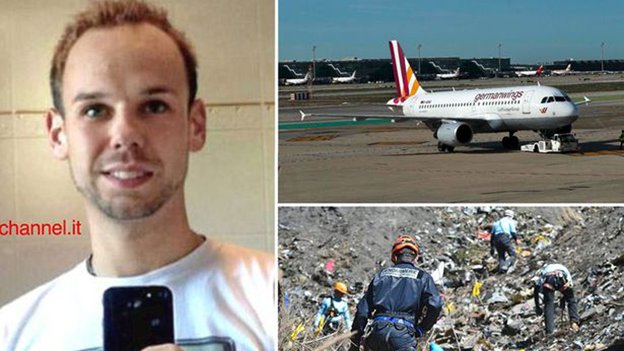 Lubitz had been deemed fit to fly by his employers at Germanwings, a subsidiary of Lufthansa. Based on voice recordings from the first flight recorder recovered almost immediately at the crash site, investigators believe Lubitz intentionally crashed Flight 9525, which was travelling from Barcelona to Duesseldorf. The second "black box" recovered is the flight data recorder (FDR) with readings for nearly every instrument seen as vital to the investigation into the crash. If it is not too badly damaged, French investigators will hope to retrieve technical information on the time of radio transmissions and the plane's acceleration, airspeed, altitude and direction. Lubitz began the jet's descent at 10:31 (09:31 GMT) on 24 March, shortly after the A320 had made its final contact with air traffic control. Little more than eight minutes later, it had crashed into a mountain near Seyne-les-Alpes. What happened in the last 30 minutes of Flight 4U 9525?